Last Saturday my girlfriends and I traveled to New Haven to visit our newly engaged BFF! (Doesn't she look like Winnie Cooper?) All of us live in the Northeast, but unfortunately don't see each other as much as we would like. The minute Amanda broke the news our trip was planned. 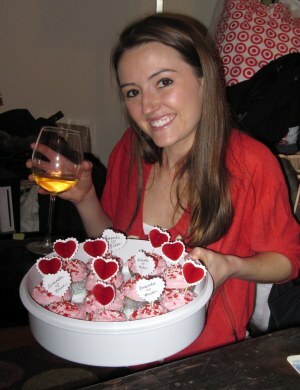 We brought cupcakes, Funfetti is my specialty, and champagne to kick off the celebration. 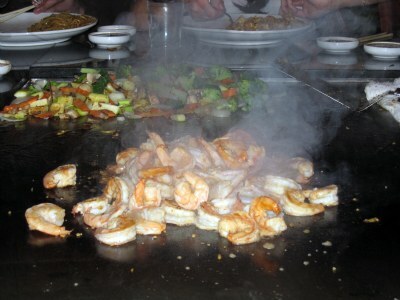 We went to Kumo Hibachi in downtown New Haven for dinner. Unfortunately the service was horrible. Despite our reservation we waited forever to be seated and our waiter was incredibly rude. I think the chef tried to make up for it by offering plenty of sake. The food was great, we hauled our doggy bags with us the rest of the night. The next morning we lounged around, laughed (a lot) about the events of the previous night, ate bagels ... it was just like a typical Sunday back at college. Those are some of the times I miss most from school. Great weekend with the girls. Amanda, we are so happy for you and Brian! LOVE the new blog background! (love me some polka dots!) NOW you have me wanting Hibachis and a big glass of wine annnd a pink cupcake, although the pink cupcake will not go with my Weight Watchers! BOO. The glass of wine would. Looks like so much fun! I am in desperate need of a girls weekend! 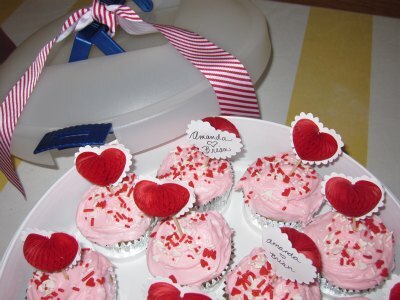 Very cute cupcakes! 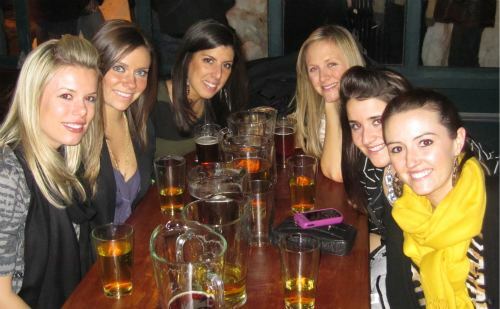 That looks like the perfect girls weekend! Your friend does look a lot like Winnie Cooper!